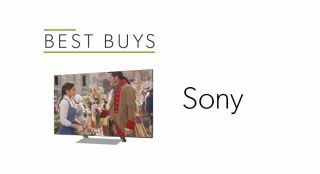 Best Sony HD, 4K, LCD and OLED TVs 2018 | What Hi-Fi? If you've always owned a Sony TV, it's understandable you might want your next set to be made by the Japanese giant. If that's the case, you've come to the right place. We've reviewed the best Sony TVs you can buy right now, spanning a range of prices and screen sizes and including both LCD and OLED options of the 4K variety. Give them a read. Your next TV could be here somewhere. This 49in, 4K HDR Sony looks the part and produces a colourful and detailed picture with excellent contrast and motion handling. 65 inches of flagship features and excellent picture quality make for a stunning Sony TV. It's even more of a bargain now there's been a sizeable price drop. Until very recently the single most impressive OLED TV we'd seen.